I decided to take a crack at putting a DLR tracker together as I've felt for a while now that this forum deserves one, despite the relatively smaller amount of information compared to the WDW forums. This thread is of course based off of/inspired by @MisterPenguin's stickied thread in the WDW forums (I asked him for permission to make this thread and he agreed). I want to be clear that this thread is considered to be in "beta" at the moment, in other words this thread is a work in progress. I am well aware that there are other members of this forum who have been around much longer than I have, are more well-connected than I am and are generally more knowledgeable on the DLR and its history than me. Therefore, I would really appreciate everybody's feedback in adding to and correcting this thread as it stands now. If there's anything that you feel is missing from this tracker, anything that does not deserve to be here, or anything that is factually incorrect, please let me know (you can post in this thread or PM me, I don't care). In particular, I think we could use more info on the current parking structure/transport and DTD hotel projects. Worth noting that there are some longstanding DLR rumors that are not mentioned here because they have simply gone silent (ex. Monstropolis at DCA, Frozen FL expansion etc.) I tried to structure this around only current rumors/projects. I also tried to take sources for rumors strictly from this forum as much as possible so as to avoid debates over what sites do or do not constitute a credible source. Pedestrian bridge over Harbor Blvd. Looks great! 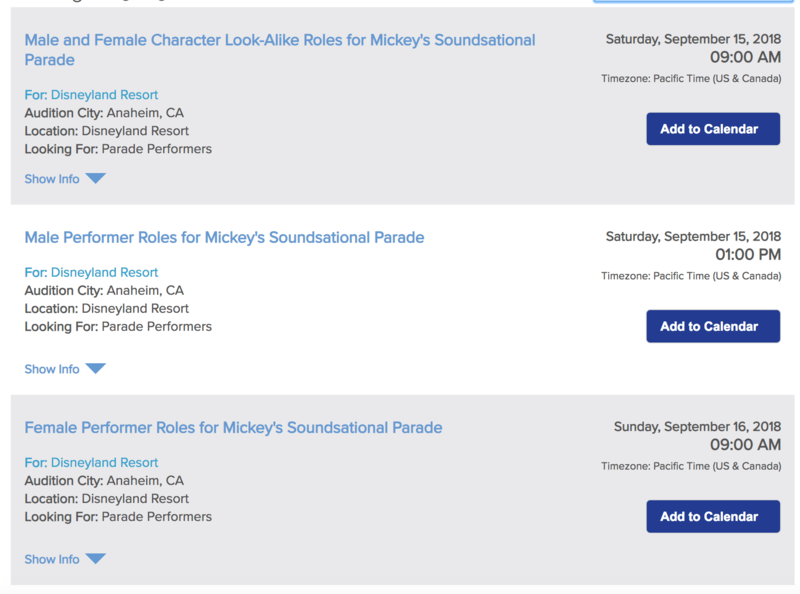 You can upgrade Soundsational to confirmed though - auditions have been posted and the audition notice states that performances will begin in January 2019. Good job! We can definitely use this. Too bad the mods won't pin anything for us. I hear there is a rumor that POTC Fastpass has been put on hold. I hope this is true and it's not really ever going to get it? AFAIC, If MisterPenguin is cool with this, then you have pride of authorship because you are the one doing the work. It doesn't matter how long you have been around. Nobody else stepped up, so here you go. And thank you. @wdwmagic , could we sticky this thread, please? This will be a great resource. I should add that I love this format of providing sources and accounting for everything from confirmed to vaguely rumored. That kind of immense thoroughness of information combined with reliable, up-to-date corroboration is something that characterizes this site. * Frozen Overlay for Indiana Jones. Pixar Pier: Lamp Animatronic atop land entrance marquee. Neon signage working at Lamplight Lounge. Thanks all for your comments. I've added suggested things that I was able to find good sources for. Sourcing things here may become kind of difficult because I'm trying to pull from this forum as much as possible to avoid the endless debates about which Disney sites/blogs are or are not credible. But in a lot of cases that just sort of means waiting for an insider to conveniently let something slip. I also read this recently, but the only source afaik is the "uncitable site". Should refurbs be a section on the list as well? A current refurb list can easily be found by Googling, although if a refurb is reported to be adding to/changing an attraction (as in not just routine maintenance) then I'll add it. Very true. Just didn't know how comprehensive you wanted this to be. Even though I loved it I was in favour of replacing Soundsational with something new, but if Pixar Play Parade was the best they could come up with than I'm glad they're bringing it back. OK, since Disney and the City has officially cancelled the potential TOT Rebate for the 4th Hotel, there is no need for the hotel to be re-designed. Disney can build it anywhere in the Disneyland Resort Specific Plan. Also the number of rooms or quality of the Hotel can now be modified. All official, disclosed info. Now, whether Disney decides to build is partially effect by the November Election. But also the 2020 election has a key property tax initiative that could have Disney not moving forward until after that election's results. Thanks all for your comments. I've added suggested things that I was able to find good sources for. This my new favorite thread. I can't believe we didn't have one before! Cool. I don’t think I’ve ever seen this. So if understand what I’m looking at... the parking structure would have had escalators going down to the level with security and the new bus transportation area AND that would still be the second level above ground as that bridge crosses over harbor? Would have been cool. Looks like it got pinned! Guys, this is a historic moment for the forum.